The Colt Buntline Special is a variant of long-barreled Colt Single Action Army revolver that author Stuart N. Lake created while writing his 1931 biography of Wyatt Earp. Ned Buntline is supposed to have commissioned this weapon in 1876, but the Colt company has no record of receiving the order nor making any such weapon. Lake conceived the idea of a revolver that would be more precise and could be easily modified to work similarly to a rifle. Lake's creative biography Wyatt Earp: Frontier Marshal, published in 1931, and later Hollywood portrayals, exaggerated Wyatt's profile as a western lawman. The book later inspired a number of stories, movies and television programs about outlaws and lawmen in Dodge City and Tombstone, including the 1955 television series The Life and Legend of Wyatt Earp. 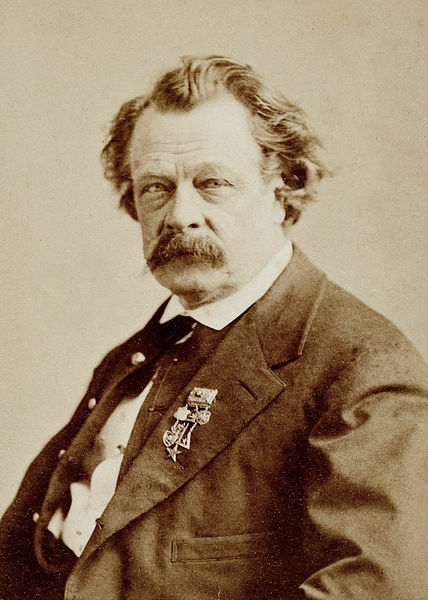 Ned Buntline, the "dime millionaire" and discoverer of Buffalo Bill, was born in Stamford, New York on March 20, 1823. Cody broke with Buntline after a year, but the national fame he gained because of Buntline's work eventually allowed "Buffalo Bill" to create his famous Wild West show. Buntline churned out other western dime novels, and he eventually became the nation's top literary money earner, surpassing the income of writers like Walt Whitman and Mark Twain. Buntline prized his wealth, but he remained scornful of his own work. "I found that to make a living I must write 'trash' for the masses, for he who endeavors to write for the critical few, and do his genius justice, will go hungry if he has no other means of support." Buntline died at his home in Stamford, New York, in 1886. He was 63 years old and had written more than 400 novels and countless other short stories and articles. Maybe someone will take Wyatt Earp's Buntline Special into Rick Harrison's pawn shop. Rick will probably have to call in a buddy. No, that Reagan thing is just an ill informed story.